Maine’s 44,000 acres of wild blueberries grow naturally in fields and barrens that stretch along the Downeast coast to the state’s southwest corner. Adapted to Maine’s naturally acid, low fertility soils and challenging winters, wild blueberries are a low input crop requiring minimal management. 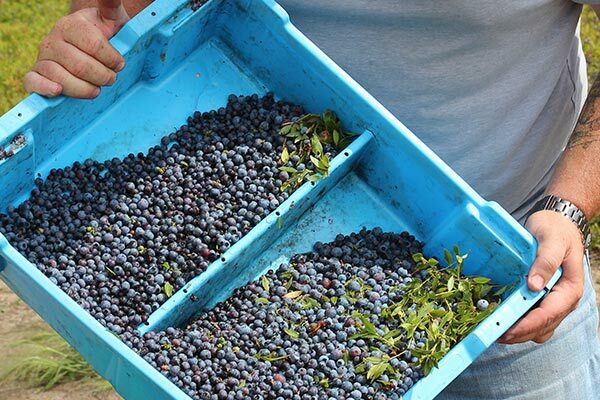 The berries are grown on a two-year production cycle — each year, half of a grower’s land is managed to encourage vegetative growth and the other half is prepared for a wild blueberry harvest in August. After the harvest, the plants are pruned to the ground by mowing or burning. Wild blueberries hold a special place in Maine’s agricultural history — one that goes back centuries to Maine’s Native Americans. 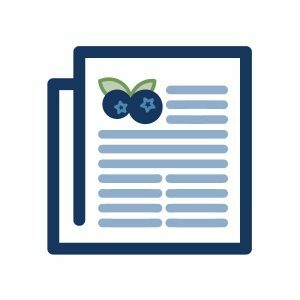 Native Americans were the first to use the tiny blueberries, both fresh and dried, for their flavor, nutrition and healing qualities but it was not until the 1840’s that wild blueberries were first harvested commercially. 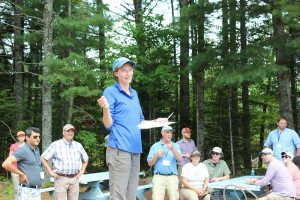 As a symbol of Maine’s agricultural heritage — a heritage that respects and values the environment — growers consider the future well-being of the land in their management practices, allowing neighbors and visitors to continue to enjoy some of Maine’s most scenic vistas and precious wildlife habitats. Because wild blueberries are indigenous to Maine, they are naturally resistant to many native pests. Still, there are times when environmental stressors such as disease, drought, insect pest damage and winter injury can ruin much of the fruit and it is a grower’s challenge to minimize such crop damage. 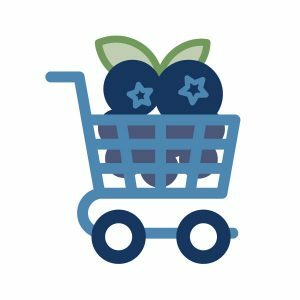 Since 1945, Maine’s blueberry growers and processors have provided financial support for research at the University of Maine. Through this successful research partnership, improved cropping practices have been developed such as Integrated Crop Management (ICM) and Best Management Practices (BMP). Growers throughout the crop cycle monitor disease and insect levels to help minimize fruit destruction without harming the environment. When critical levels are reached, growers consider a full range of control methods, from cultural techniques to the selective application of pesticides. 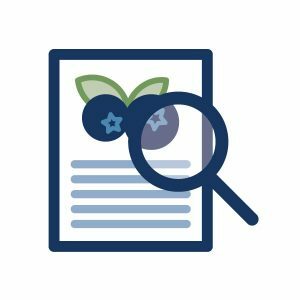 View the Wild Blueberry Prune and Crop Management Schedule and A Pocket Guide to IPM Scouting in Wild Blueberries (PDF). Information you can use. Research you can trust. 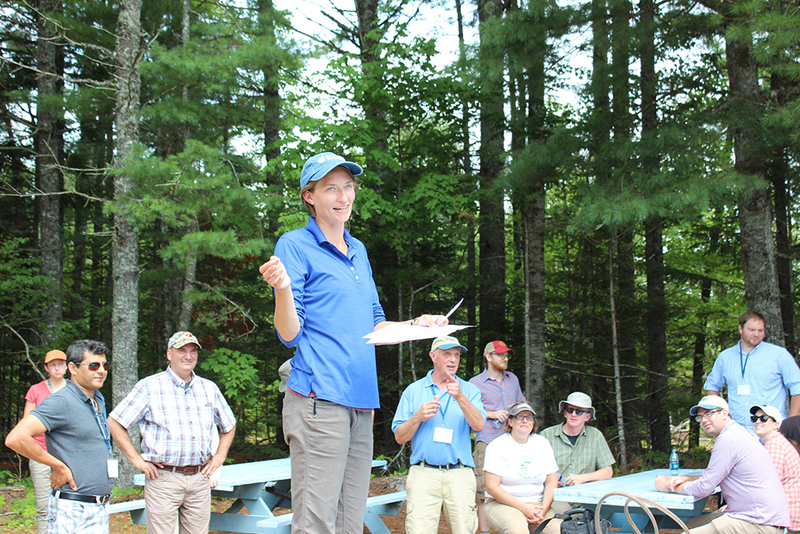 To find out more about Maine wild blueberries and the land they grow on, talk with a local blueberry grower, contact Extension Wild Blueberry Specialist Dr. Lily Calderwood, the University of Maine Cooperative Extension, or contact the Wild Blueberry Commission of Maine.